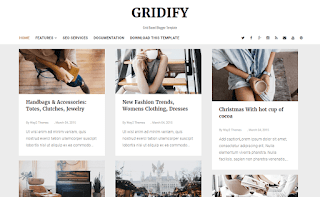 Gridify Blogger Template is a responsive clean and minimal grid based blogger template that enables you to create a professional blog or website and manage your blog. Built with the latest Blogger technology. 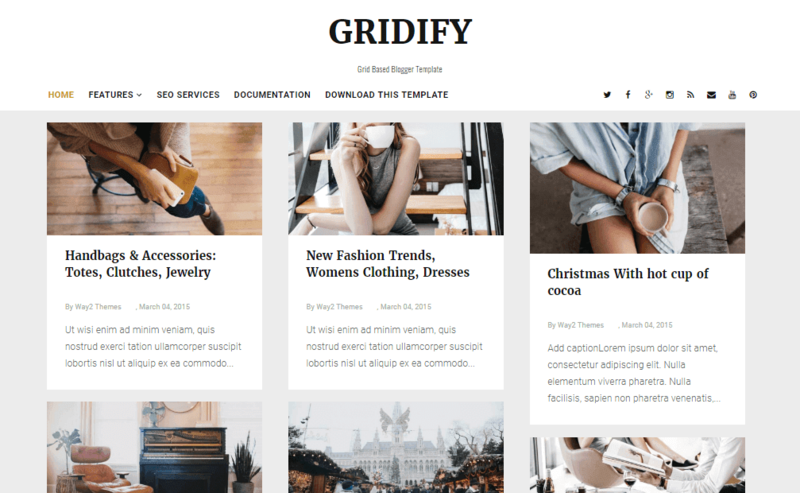 gridify support responsive layout so it looks great on all devices. It is perfect for photographer, creative designer, design agency, etc. This blogger template is packed with great SEO support. Theme has been built using semantic HTML code and CSS, allowing search engines crawl and index your web page easily.